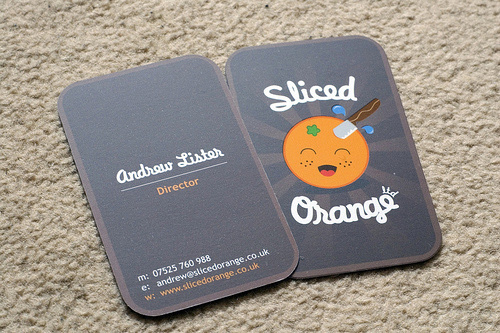 Card designed for Sliced Orange. The orange on the back is printed with a spot UV varnish for a shiny look. © 2018 CardObserver. All Rights Reserved.